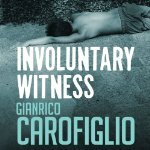 This is the first book in the Guido Guerrieri series – it’s Italian so the court system is somewhat different but the plot is based on the same sort of thing as murder mysteries everywhere. Evidence is evidence, judges are judges and witnesses are witnesses. This is NOT a page-turner, Guido is a very introspective man and naturally has to have a personal life. (Bo-ring) A recently divorced attorney our hero drinks too much and is interested in the new woman next door (ho-hum). I think he’s depressed and I suspect the author delves deeply into these side issues and personal back-stories in order to squeeze 290 pages out of the plot – but that’s the style these days – that’s how serials are made. (And if Guido is going to be the featured protagonist it’s good to get to know him.) The new relationship with the woman next door is likely to continue through a few books of the series anyway. The plot itself is fairly interesting – taking place in some city in Italy an unemployed, Senegalese immigrant teacher has been arrested for the murder of a young boy in his neighborhood. There are witnesses who saw him with the boy and there’s quite a lot of other evidence which looks damning. A friend of the arrested man gets ahold of Guido and then leaves the country as she is also an immigrant. I think I may read another of these books or two – not right away though – I’lll see what comes up. The narration was good.